Tuna melts are conceptually gross, but one day I realized it was basically a hand-held noodle-free tuna casserole and I was sold. I haven't had one in a while, but when it gets colder, a tuna melt and a bowl of tomato soup is a good comfort food dinner. Though I do understand the whole Fish + Cheese = Yuck thing. I have a recipe for a soup that uses both peanut butter and canned tomatoes. It's really good, but I don't tell people what's in it until after they've tasted it. That soup sounds great--seriously, it would be terrific with this bread. I love all things nuts and am seldom grossed out about peanut butter in anything. I have never had tuna casserole, actually and I've only had mac and cheese twice. We weren't a big 'casserole' family, but I should add lest that sound food snobby that I didn't understand that people even made cookies, pancakes, or spaghetti sauce without a mix until I was in my mid-20s. I posted the recipe for the soup way back when. You don't have to use instant rice, but I use it here because regular rice takes so long that I feel like all the life gets cooked out of the soup. Homemade mac and cheese is good, but the Kraft from a box upsets me for some reason. I think it's because it's so aggressively orange. Every time I try to brown butter I burn it. @flurrious--I loved that post you linked to! Everyone who reads this blog should check out that link! I have to make that soup, even though I will feel guilty since that it is now probably the most-made soup in America, completely counter to the recipe author's wishes. @The Blonde Duck--the trick is using very low heat and taking it off the burner just before you think it's done. Or at least I think that's the trick. Now that I write that, I'll probably burn it. 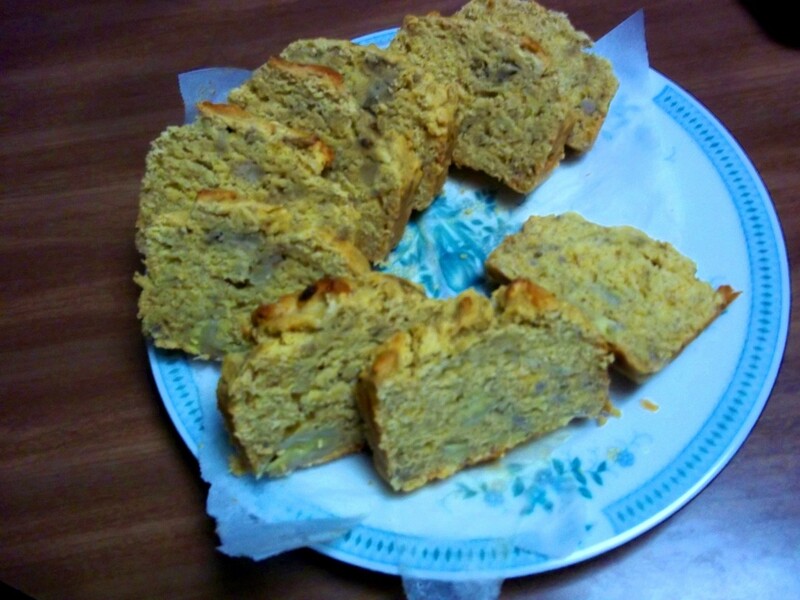 I had never thought of bananas worked into a cornbread, or cornmeal worked into a banana bread (depending on how you see it). I have a recipe for a banana cake from Elana Amsterdam (one of the better recipes from her almond meal cookbook) and I think I'd like to adapt it sometime to include cornmeal. @Catboy--that banana cake with almond meal sounds fabulous. It didn't occur to me before, but this bread could be very easily adapted to gluten-free eating. It's so moist it might not really need gluten to hold it together. Almond flour and cornmeal together would be a lovely, delicate flavor pairing. It also doesn't have a great deal of sugar, and you could even reduce the honey, perhaps adding some sliced bananas for garnish and more spices to amp up the flavor.